Every day we're bombarded with idealized, retouched, impossibly perfect images that may make us feel insecure. We worry that primping and preening are a trap, distracting us from what really matters. But sometimes a new hairstyle or a new shade of lipstick can brighten our day. We can't seem to win. Must beauty's influence in our lives always be perceived as negative? 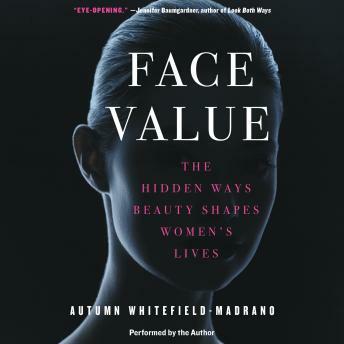 In Face Value, Autumn Whitefield-Madrano thoughtfully examines the relationship between appearance and lived experience to show how beauty actually affects us day to day. Through science, meticulous research, and interviews with dozens of women across all walks of life, she reveals surprising findings: Wearing makeup can actually relax you, people find you better-looking just by tweaks of your personality, and beauty can be a powerful tool of connection among women. Equal parts social commentary and powerful personal anecdotes, Face Value is provocative and emboldening-and a great conversation starter for women everywhere. The book was well researched, diverse, and clear. However, it did not explore many uncrossed paths and really say anything new. This resulted in it being dragged out a little too much. Nevertheless, it did concisely cover the main issues on how beauty affects the lives of women.